Provide your customers with up-to-date news in their browser! 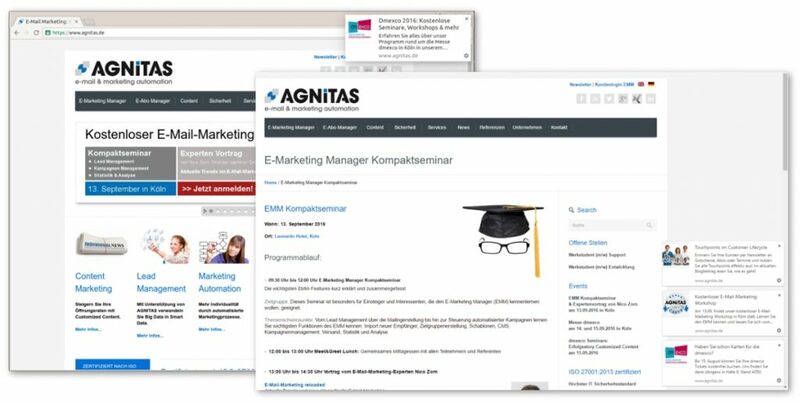 The Web Push Service from AGNITAS lets you reach consumers directly while they surf the Web via an overlay window. 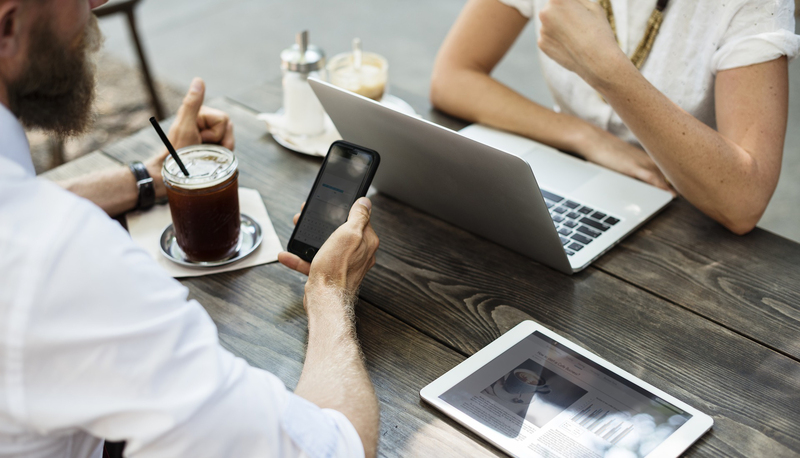 When a prospect or customer registers for the notification service on your site, they will receive your short messages via their browser directly while surfing. The browser only needs to be open in the background, no matter what website they are currently using. No additional application like an app or email client is required. You easily manage and control the web push notifications in the E-Marketing Manager. Link the opt-in for push notifications and the newsletter to personalize the process. Text: Your (promotional) message (not too long, because the browser may not show everything). Image: Your message can include a small image (icon or logo). An image link is inserted. Implementation: Integrate the news service into your desired website and design a layout for the authorization query. Authorization: The layer will appear when your visitors come to the website (see image on the right). If the website visitor confirms the permission request for the delivery of your push notifications, you have a valid opt-in for delivery. The opt-in request, which is integrated into the browser, and the chance to opt out at any time are the foundations of permission marketing. Delivery: Easily manage the complete planning, control and evaluation process for push notifications via the E-Marketing Manager. Web push notifications are displayed as an overlay. The browser displays all current web push notifications since the last use. * The web push interface is not yet fully standardized. However, AGNITAS will ensure EMM takes all changes into account up until the finalization. Get more information and a custom quote.